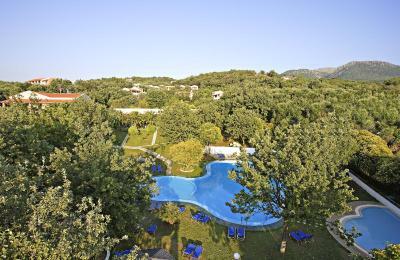 Hi, The hotel is in Acharavi(35 km from Corfu Town). It is in a very good place of the station, on a hill. We stayed in an 2 bedroom apartament, we had kitchen(with all you need). The single negative things is that we have to efectivelly climb to our room:). I asked them to put us near the restaurant when we booked but i think they didnt read my demand. The breakfast is very good, they change a little bit of everything almoast daily. The staf is frendly and they know english. They have a very nice pool(one for adult and one for kids). The rooms are very clean, they change the sheets every 2 days. I think it is the perfect hotel for family with small children. We will comw again i the future. 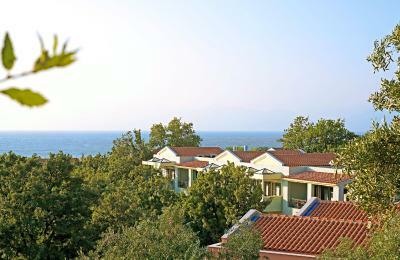 Spacious room and balcony, privacy, view TO the forest, nice gardens, excellent breakfast, very friendly and proffesional staff. WE felt very good LIKE at home with excellent hotel services. Reception area very bright and modern - very friendly staff for whom nothing was any trouble. It was good location, nice playground for kids, we got a cot bed for no extra money. The lady at the reception was very helpful and friendy(we had to call a doctor to our little one and she helped us organize that). The staff were lovely, helpful , cheerful and very kind after I got locked in the loo! 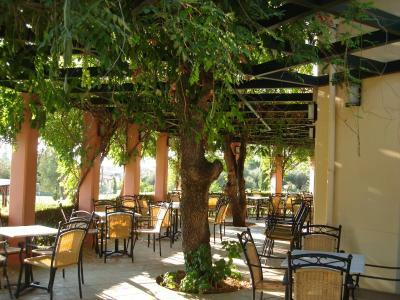 The staff was friendly and attentive, the grounds were well maintained and breakfast was good. They have beautiful gardens and pools. The rooms were cleaned on a daily basis. The resorts is up the hill and has nice views. The view from our room was nice. You could see the sea. Staff was very friendly and helpful. They even prepared a small breakfast for us since we left at 4am. Room was very big. Century Resort This rating is a reflection of how the property compares to the industry standard when it comes to price, facilities and services available. It's based on a self-evaluation by the property. Use this rating to help choose your stay! 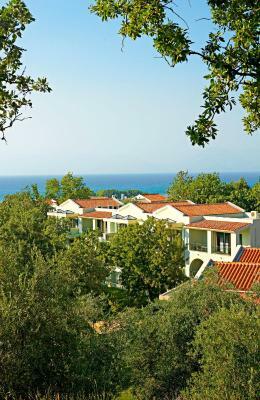 One of our top picks in Acharavi.Surrounded by several acres of beautiful gardens, and just over a quarter mile from Acharavi beach, the Corfu Century Resort features high-quality business and tourist amenities, complete with complimentary buffet breakfast and private parking. 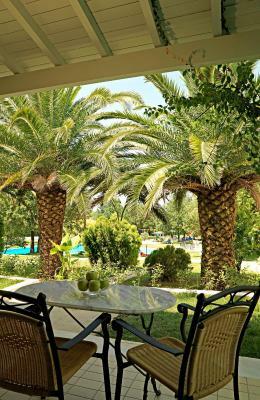 The complex is comprised of spacious apartments, suites and villas, which are elegantly decorated and fully equipped with modern amenities and kitchen facilities. After a busy afternoon of activities, guests can enjoy a variety of refreshments at the poolside snack bar. The convention center can be used for every type of special event. 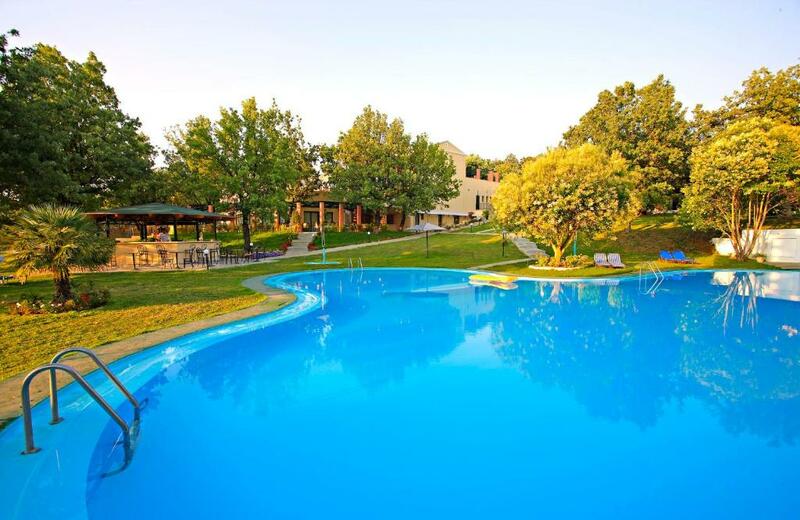 The separate outdoor swimming pools for children and adults provide fun for whole family. Families can also take part in different games, including volleyball. When would you like to stay at Century Resort? Combination of a bedroom and a living-room. Please note that this room type can accommodate up to 1 child on a baby cot (up to 2 years old). 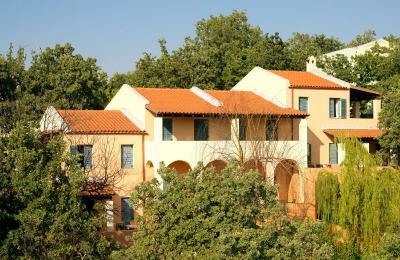 It has an open-plan living room, dining area, and a bedroom with bathroom. 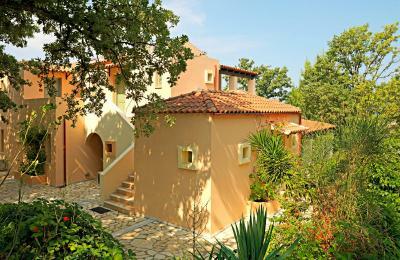 Elegantly decorated, this air-conditioned, split-level suite offers a terrace with views to the garden. 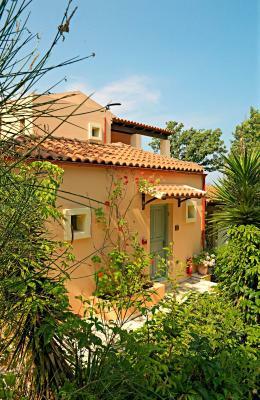 It consists of 2 bedrooms, a living room with TV and a dining area and mini oven with cooking hobs. A hairdryer is included. Please note that this room type cannot accommodate an extra bed. Maximum occupancy is 6 guests. This apartment features a balcony, air conditioning and patio. 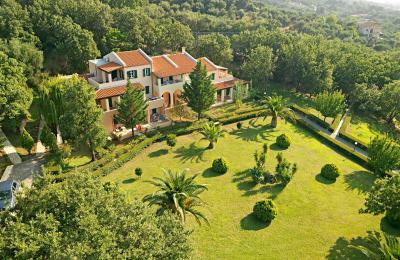 Come join us at the best spot to relax in Corfu. 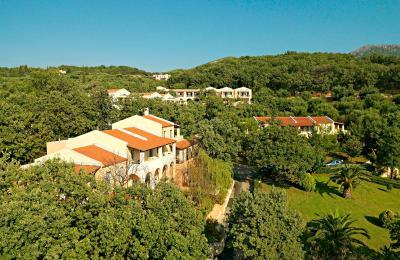 50,000sq.meters of lush green environment, ideal for families with children and romantic breakouts. Let us cater your every need. We take pride in our family atmosphere and getting to know you by your first name. Take our Half Board option to enjoy home made dishes which change daily. House Rules Century Resort takes special requests – add in the next step! Century Resort accepts these cards and reserves the right to temporarily hold an amount prior to arrival. The kitchen staff was unacceptable. The rooms were hidden. The entire resort is trying to legally cheat it’s customers with whatever they can. Adding extra costs wherever they can. Unconfortable bed. The cleaning ladies were the nicest. Maybe a bit of an upgrade on the garden beds and table's around the pool area. Property could do with painting and upgrading. Grounds require lots of TLC with landscaping and maintenance. Breakfast can be improved- WiFi definitely needs improvement! Staff are excellent and so friendly. The breakfast was below average, they had strict rules about not taking food to the room even when my husband could not come to the breakfast area due to his training schedule. When asked if they could make an exception, they declined. When we arrived at 2 am and were shown our apartment there was no running water. The same situation was the next day. We asked for a different apartment and they accomodated that. The pillows were small and lumpy. The beds were hard and the room was very basic. The walls between rooms are thin and the building we stayed was kind of noisy because of the water pipes. No access in WIFI to rooms, only in the lobby. Keep in mind that the resort is uphill, so not really suitable for seniors and the hot water was working only in the afternoon. They have some roosters around which are singing early morning. Breakfast food is low quality and strange selection, big, but there is no olive for example. Balcony which supposed to be private, was like a wlak through to two other rooms. The room was in lobby building, had view on road and a lot of noise coming from cars. Safe deposit box is old, rusty and for extra charge. The worst thing - the room had some kind of a second floor, where was located couch. With low ceiling and steep, ugly stairs. No desk in room, no chairs in room. The room was not like 4 star hotel should be, and no picture showed this awful room in booking or other places. The hotels is definitely not a 4 star hotel. It's a 3 star hotel with "checks" to get fourth star. Like it does not have a restaurant, but have snacks at the pool bar - this is not okay. Pool area is good. Quite neighbourhood. beds were uncomfy and the building was very noisy and echoed. nice open plan good breakfast.